A big congratulations to granger44, who was selected via random.org as our winner. This included both comments left here, and twitter entries. Thanks for entering, and keep looking out for future contests from the fine folks at Gator Games! Happy New Year everyone. And to ring in the New Year, how about a giveaway, brought to you by the great folks at Gator Games? 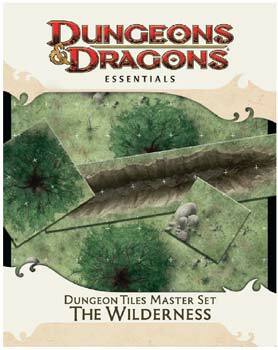 We are giving away a set of the last D&D Essentials product, the Dungeon Tiles Master Set: The Wilderness. How to enter? Well, leave us a comment here on the post, or send us a tweet via twitter, to both @newbiedm and @gatorgames, and you are entered. It’s that simple! Happy new year, now go win free stuff! This contest tuns until Saturday, January 8th and is open to residents of the US and Canada. Now go visit Gator Games, will ya? Thanks for doing these, guys. Entry! Always willing and happy to test some new material. I’m in! Thanks for the contest! I’m still new to D&D, but so far I love it. Most Excellent ! I love these tiles ! Sign me up ! This came out?! Man I gotta get back to the FLGS! This is a perfect accessory for me and my friends who are just starting out! This would be great for the next part of my campaign, I hope I win! One of these days, I should win one of these contests, right? Looks AWESOME! Been needing Foresty stuff. Thanks to you and GG for running all these giveaways! I never win these things, but sign me up anyway. Excellent product…. I want one! Sign me up. I’m always game for free stuff! Sign me up! Wow! This would be a cool thing to win! I love dungeon tiles. Anyone have any good tips for making them stick to the table and not sliding around? This is an awesome set. Would love to get a copy. Thanks for the opportunity! Tiles to start the year. I like that sound of that. A terrific way to torment my players. Hey, sounds awesome. I’ve even got plans for a forest based adventure coming up. You guys are awesome! Always thinking about the little guys! I like the sound of prizes for the new year too, sign me up for the contest! Thanks again to you and Gator Games for running these great contests! Happy New Year too. Ring me in! I always get a thrill from these, despite having yet to win. This is the time! Count me in! Happy New Year all! So much great 3.5e stuff! Gator Games looks like a great shop. If you give me tiles, I promise not to blow up Angola with a home-made yogurt bomb of my own sinister design. Enter, please! Happy new year! I would accept free stuff. I love Dungeon Tiles and can always use more. Count me in. One can always use more Dungeon Tiles. Good luck all. I would like to enter the contest. Happy New Year everyone! Always wanted to try dungeon tiles rather than abusing my printer relentlessly. I’m definitely interested in winning this set. Thanks for running the giveaways, and for the interesting blog. Sign me up for free stuff please. Would love to use these with the grasshopper. For the win! I’d love to win, and I love the blog, too, btw. Sounds good. I would love a chance to get my hands on those tiles. Count me in. Use those tiles like crazy. Count me in, and keep up the good work! I’m already trying out the “build your own token” article…I’d love the tiles to go with them. add my name to the hat too, please. Please enter me in the Dungeon Tiles contest! I received Dungeon Tiles: The City for Christmas. I clearly deserve to win in order to, um, add to it. If I use a white board one more time, my players will have me drawn and quartered. Please save my game, Newbie DM! So much wilderness, so little time. I’ve been eyeing those for a while now. @Dave: Try something like “grip shelf liner” (see http://bit.ly/eZS1eI, for example) to keep your tiles from sliding around. I use this technique all the time and it works like a charm. In case anyone is wondering, The Wilderness reprints all six sheets from the now out-of-print DT4: Ruins of the Wild, and adds four sheets of new tiles. It doesn’t seem to include any reprints from DU5: Sinister Woods. Please do not enter me in the drawing; I have already reviewed and indexed the copy that I own. I’d love to win as well. I’m just getting into DMing 4e and Essentials. My name is awesome. Pick it. 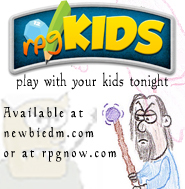 Come on, papa needs a new set of dungeon tiles…! Almost picked these up from Chapters the other day. A free set would be better and help off set the holiday debt. You guys are awesome! Thank you so much for offering these great giveaways, and of course all the great advice/and articles over the last year. I can put this to use in my current campaign in the Living Forest. Count me in (to the Wilderness)! Thanks! I’m good enough, smart enough, and gosh-darnit, tiles like me! Oh that would be just the thing for my campaign! Yay. I love free stuff! I plan on using 3 sets of these tiles for an epic forest-based battle with my group – a 4th set couldn’t hurt! Happy New Year and count me in! Would be the perfect way to start the new year! Toss my name in the proverbial hat please! You can’t see the forest for the trees without these tiles!. Sign me up for the (potential) free goodies. Please enter me in the contest. I would love a set of these tiles! Come-on, baby need new tiles. Happy New Year. Count me entered please. Once again; y’all are great and yes please to a free Wilderness Dungeon Tiles set! Count me in too, please. Thanks! I love Dungeon Tiles (especially when they’re free). I was just looking at these last night and added them to my wishlist as my group is currently running a wilderness based campaign at the moment. Please add me into the list of entries. I’d love some more Dungeon Tiles! Sign me up. Boy, would I like to win this!! I’d love to win these! Been reading your site since I started DM’ing 4E! Total Noob, but you’ve made it alot easier! Thanks!! Never used dungeon tiles before. I’d like to start. The wilderness would be great. What better setting to slay or be slayed by Fey and other creatures. All my FLGS gives me is a single dice each month and they collapsed december and january. Could y’all make it up to me with the Wilderness tiles? Please and thanks for being awesome either way. I’d like a piece o’ that! I would like an all expenses paid trip into the Wilderness (Tiles)! Free Wilderness Tiles! Breakout the camping gear and Bugbear spray. AWSOME can always use more tiles!!! these tiles would look great next to the only other thing i’ve ever won….A particapation ribbon from grade 6 track & feild. All kidding aside thanks for the chance! Yeah, Newbie! Thanks for the contest.